Schadenfreezers is a hilariously awful series of popsicle stick jokes by Matt Moore and Jason Kreher, a pair of ad creatives at Wieden and Kennedy in Portland. 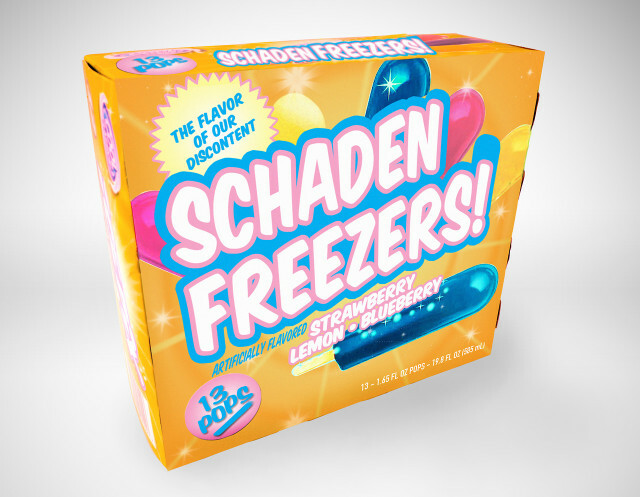 At present, the Schadenfreezers exist only as GIFs, though the duo has mocked up a slick package for their evil popsicles. They talk about the project in this Adweek interview. The strawberry, blueberry and lemon-flavored joy derived from the suffering of others.